Congrats lady! To claim your prize, shoot your full name and mailing address to me at hairscapades@gmail.com within the next 5 days!! 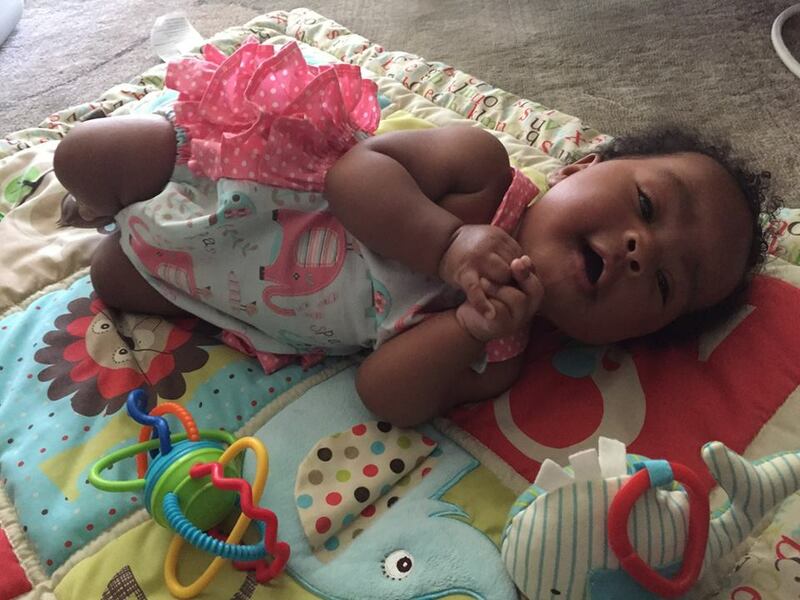 And so it begins … A few weeks ago, I came across this Instagram account, smocksnbondsboutique with the cutest little baby rompers! I fell in love with a couple of the ruffle booty variety ensembles, so I reached out to the Etsy owner, Lauren, to see if she’d be interested in letting me review one of her rompers and doing a giveaway. Well imagine my pleasure when she was interested in both!! 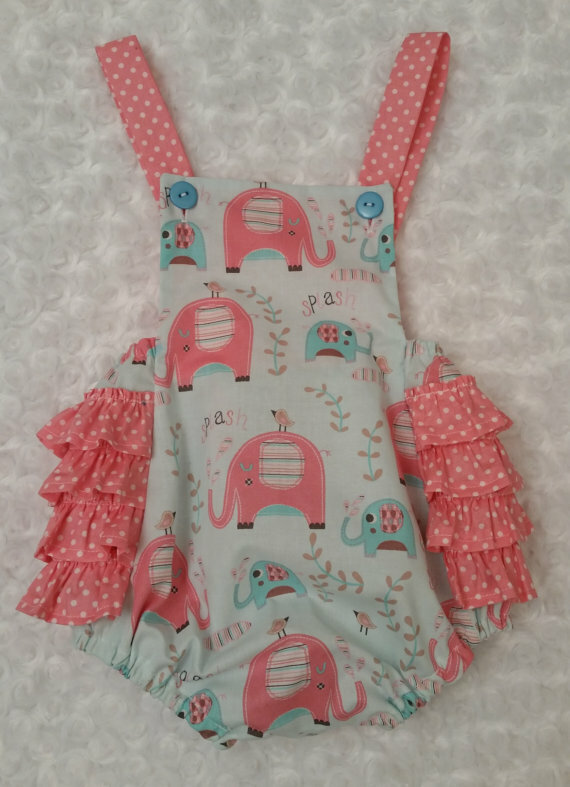 Well, I received this adorable pink and blue elephant romper just in time for the NJ summer heat! The romper is so well-made!! The fabric is substantial, everything is double seamed, and it’s finished with a zig zag stitch! Lauren says, “I want that garment to last!” I was also very pleased that the bottom is closed with three zaps!! 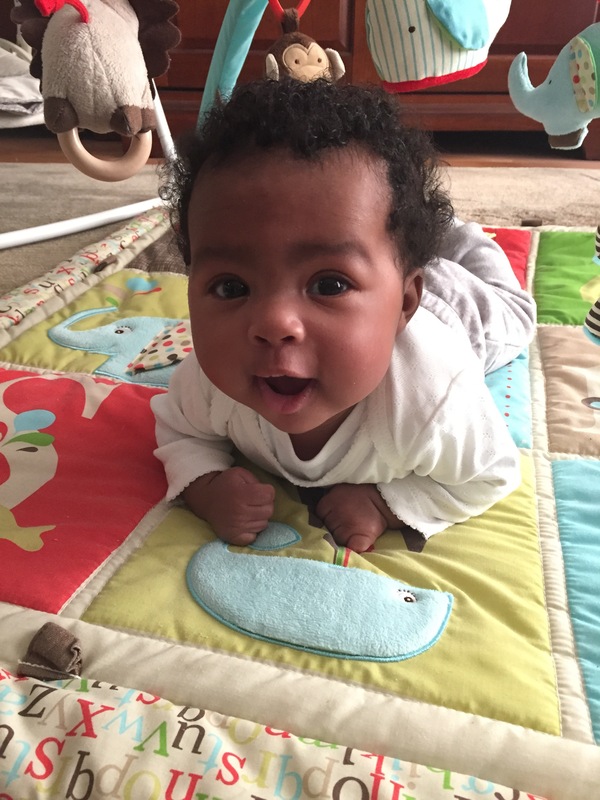 She knows about those diaper changes! As I wanted this romper to fit Wyntr the whole summer, I did ask for it to have a little room to grow, so the straps were a little long. But, I fixed that with a couple of safety pins in the back and by criss-crossing the straps. Then, we were good to go! All in all, I’m in LOVE with this romper and my pumpkin in it!! Seriously, who can resist a ruffled baby booty?! 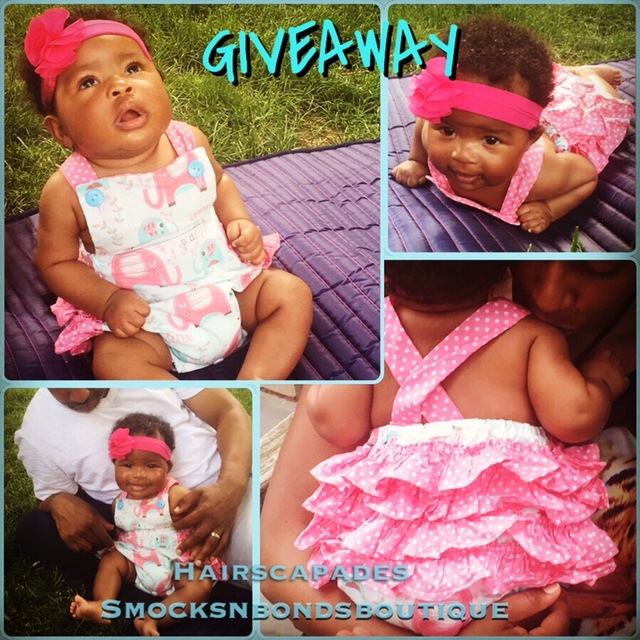 NOW, what do you have to do for a chance to win an adorable piece of your choice (excluding smocked items) from SmocksnBondsBoutique? Re-post the above picture and the related Instagram giveaway post (here) on your IG with #hairscapadesgiveaway and #smocksnbonds. All subscribers, old and new, are eligible!! Must have a public Instagram profile (at least long enough for the contest ;)). Just make certain to Follow and Re-Post as instructed above!! A winner will be randomly selected the week following the close of the giveaway! The deadline for entry is Saturday, June 6th at 11:59 pm. *No purchase necessary. A winner will be selected at random the week following the close of the giveaway. In accepting the prize, the winner acknowledges that Hairscapades.com may not be held liable for any loss, damages or injury associated with accepting or using this prize. This contest is subject to all federal, provincial and municipal laws. Contest open to Continental U.S. residents only. One entry per person. Claiming of prizes requires an e-mail response to hairscapades@gmail.com from the winner within 5 days of being notified of winning. Failure to respond shall mean that the winner forfeits the prize and an alternate winner will be selected.